I was 8 days past my estimated due date and had been having contractions off and on all day when they started back up around 3pm. I was about to have my 2nd vaginal birth after 3 cesareans. I had been having contractions off and on for weeks and had hit the point where I figured this was once again false labor and that the baby wasn’t ever coming out and I had made peace with that. I was surprised 4 hours later when my amniotic fluid began leaking. My contractions still weren’t very strong or close together so after notifying Rebecca I went to bed to try and get a little sleep. At some point that night they had me use some herbs to try and encourage stronger contractions. 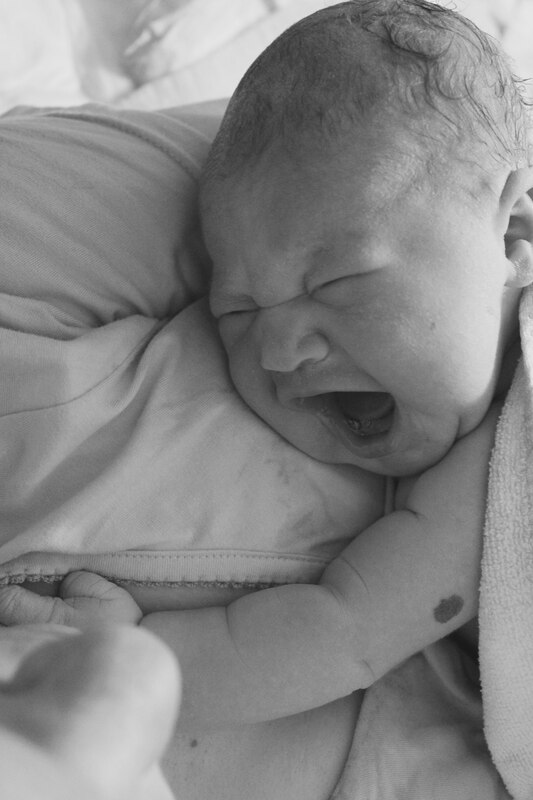 At midnight the midwives called and said they were on their way (I lived an hour away). I remember thinking that they were going to get to my house and be sitting around for forever because I didn’t feel like I was at all close to having a baby. My contractions were so mild and easy. Shortly before they got to my house the contractions got strong enough that I had to stop talking and breathe through them, but they were still nothing like my other labor with my previous baby had been. Most of what I felt was my baby grinding her head down onto my cervix. She was moving and twisting the whole labor, while I was pushing and everything! probably hadn’t advanced much. I was very pleasantly surprised when Rebecca told me I was at 7cm! I kept on laboring until around 3:50am when I felt like it might be time to push. Rebecca checked me and found that I was fully dilated but that my cervix was very posterior and that the baby’s head wasn’t applied to the cervix very well. She very gently tried to move the cervix into a better position and held it out of the way while I gave a few pushes. 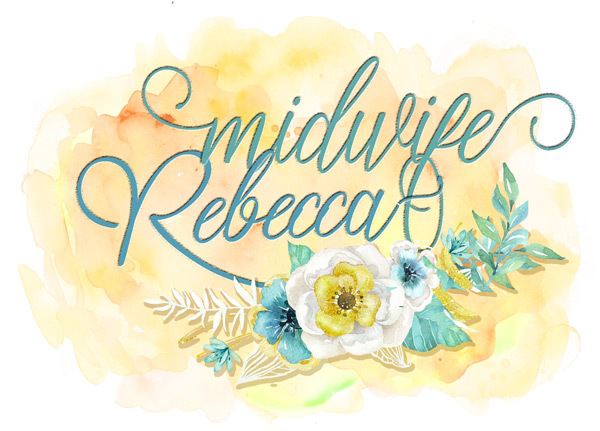 After she got my cervix into a better position and the baby got her head into a better position Rebecca suggested I labor for a little longer. was definitely ready to push. I had planned on reclining on the bed to push, but didn’t quite make it and ended up on the bed on my hands and knees. I pushed with everything I had in me (giving an embarrassing, deep battle like scream the whole time). After several contractions her head was out and she started screaming too! I pushed several more times and after pushing a grand total 12 minutes, Kate was born at 4:52am! She weighed in at 7 lbs 14 oz. 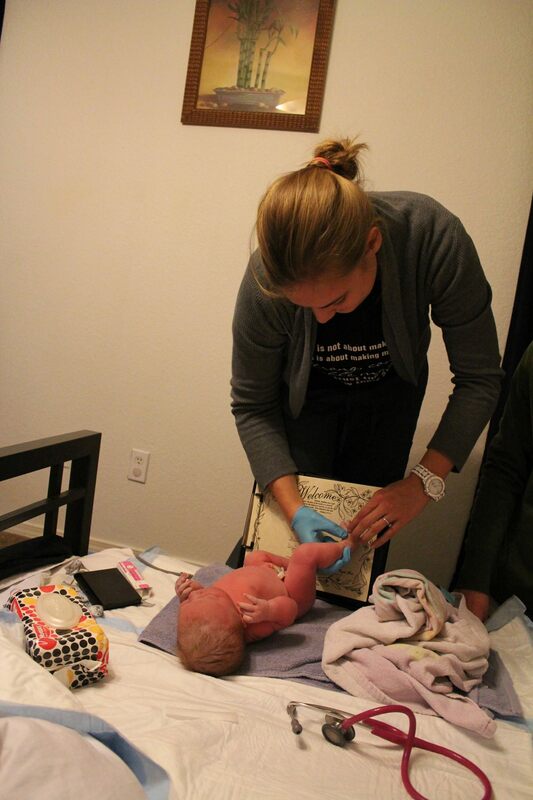 choice, the midwives did everything I had asked them to do) but it was still an amazing experience and I would do it again and again! 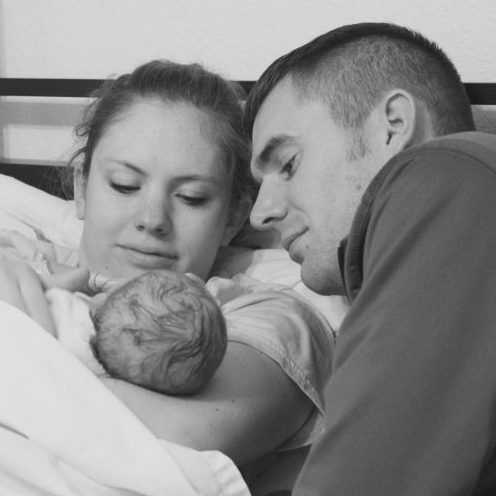 My only regret is not hiring a photographer to capture the labor and birth!